FREE Big Brother Over The Top Premiere Episode! You are here: Home / FREEbies / FREE Big Brother Over The Top Premiere Episode! I am a reality TV fan – super fan, really. There are not many I don’t know of, at least, and I follow a ton and have since day one. Big Brother is one of my favorites and I have never missed an episode, so when they said they were having a second season this year online – I was so excited! They have only done 2 seasons one other time in the history of the show (that I remember). So, I have been following this new season Big Brother Over The Top – or BBOTT 🙂 There are a few differences in this season and the ones that we watch on TV. One thing i like is the exit interview. Since it’s not constrained by the normal 1 hour show, the show can go over and the exit interview is more extensive. So many times they rush through and you don’t get to really hear much from the evicted houseguest. Also, America has a HUGE hand in the game, including actually CHOOSING the winner! Right now through 11/20/16 you can stream the first episode of Big Brother Over The Top for FREE! It’s not too late to catch up – I am really enjoying it! If you decide you want to sign up for All Access you can get the one with commercials for $5.99 a month or you can get the commercial free version for $9.95. PLUS, you can get a week FREE, too! Both allow you 24-7 access to the house. You can see what’s going on all day and see the comps in realtime. But, also they do a 15 minute wrap up each evening to let you know what happened that day. Plus, every Wednesday night there is a complete episode with all of the comps from the week and the vote and eviction, plus the exit interview! So, you don’t miss anything! The house is OPEN! 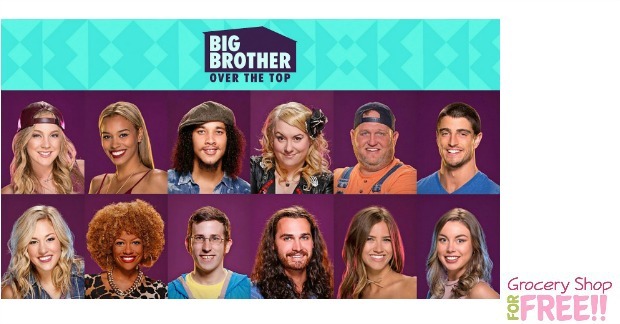 Stream the premiere of Big Brother: Over the Top FREE for a limited time.